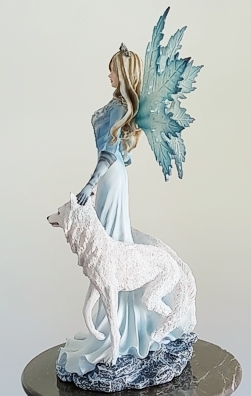 The Fairy with Arctic Wolves figurine is truly stunning. It is a very large figurine that stands a bit over 23" tall. 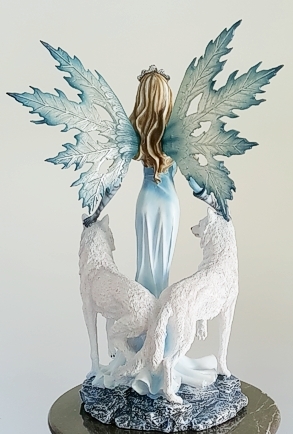 It depicts a beautiful snow fairy with two majestic Arctic Wolves. 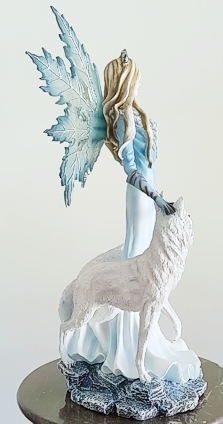 This figurine is made out of solid resin. There will be some assembly at arrival as the wings are packed separately to avoid breakage. This figuine will take your breath away.